1. SHR machine with Super power—3000W. electronic connector. High quality and long lifetime. pull the handpiece, it will not damage any part inside. Please see the following introduction. 4. Germany Imported super-quiet water pump,no noise,larger water flow for better cooling, prolong laser and machine life. in case of any risk, protecting people & machine against any risk at the first time. 7. User-friendly software design: simple parameters setting and easy operation. 1. Fast shot hair removal machine, 10 shots in 1s. 2. 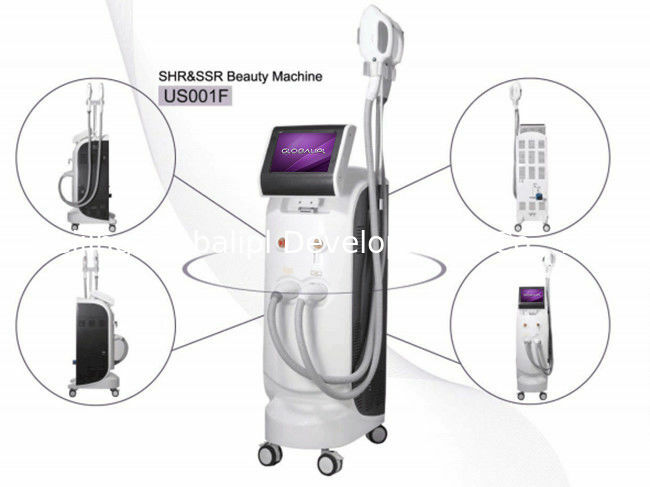 SHR machine with Super power—3000W. 4. High repetition rate, high efficient. 5. SHR lamp from USA, no less than 1000,000 shots. 6.Most advanced cooling system, SHR machine can continuously work for long time.